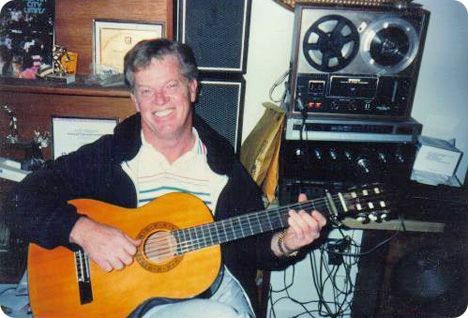 One of the greatest session musicians in Nashville recording history has passed away. Henry Strzelecki, 75, died on Dec. 30. From the 1960s to the present, he played bass on records by many of music’s most famous names. Discs by Bob Dylan, Joan Baez, Ray Charles, Elvis Presley, Gordon Lightfoot, Carl Perkins and Roy Orbison all feature Strzelecki’s work. His playing can also be heard on hits by more than 25 members of the Country Music Hall of Fame. He was a native of Birmingham, AL who began recording with singer-songwriter Baker Knight on Decca Records in the 1950s. Strzelecki toured throughout the South as a member of The Four Flickers in the late 1950s. In 1959, the group became the first to record his novelty song “Long Tall Texan,” which became a minor classic. “Long Tall Texan” was subsequently recorded by Jerry Woodard (1960) and by Murry Kellum (1963), who was the first to make the charts with the tune. The Beach Boys recorded it in 1964, and it became a widely loved song in the group’s repertoire. The Kingsmen also recorded it that year. The song achieved renewed attention in 1996 via versions by Lyle Lovett and by Doug Supernaw with The Beach Boys. Others who have recorded “Long Tall Texan” include Pee Wee Crayton, The Rhythmtones, Leroy VanDyke, The Gestures and Sleepy LaBeef. As an instrumentalist, Henry Strzelecki worked with guitar legend Hank Garland in the early 1960s. Then Chet Atkins took him under his wing, using Strzelecki as both a touring sideman and a session musician. The bass player soon moved to the front ranks of Nashville’s recording-session regulars. He worked with practically every artist who made records on Music Row. Among the country Hall of Fame members he worked with are Eddy Arnold, Bobby Bare, Johnny Cash, Patsy Cline, Flatt & Scruggs, Lefty Frizzell, Don Gibson, Merle Haggard, Tom T. Hall, Ferlin Husky, Waylon Jennings, George Jones, Grandpa Jones, Loretta Lynn, Charlie McCoy, Ronnie Milsap, Willie Nelson, Charley Pride, Jim Reeves, Marty Robbins, Connie Smith, Hank Snow, George Strait, Ernest Tubb, Conway Twitty, Porter Wagoner, Tammy Wynette and Faron Young. Orbison’s “Oh Pretty Woman,” Dylan’s “Blonde on Blonde” and George Jones’s “He Stopped Loving Her Today” all feature bass playing by Henry Strzelecki. So do recordings by Johnny Paycheck, The Oak Ridge Boys, Levon Helm, John Anderson, k.d. lang, Elvis Costello, Dottie West, Hank Williams Jr., The Browns, Janie Fricke, David Allan Coe, Hank Locklin, Jerry Reed, Jerry Jeff Walker, Al Hirt, Gene Watson, Louis Armstrong, Larry Gatlin, Johnny Rodriguez and hundreds more. Among the other artists who recorded Strzelecki’s songwriting efforts were Mundo Earwood (“I Can’t Quit Cheatin’ on You”), Charlie Rich (“Where Do We Go From Here”), Johnny Winter (“The Mistress”) and David Wills (“Happy Hour”). Henry Strzelecki was reportedly taking a walk when he was struck by a car on Dec. 22. He went into a coma from which he never recovered. 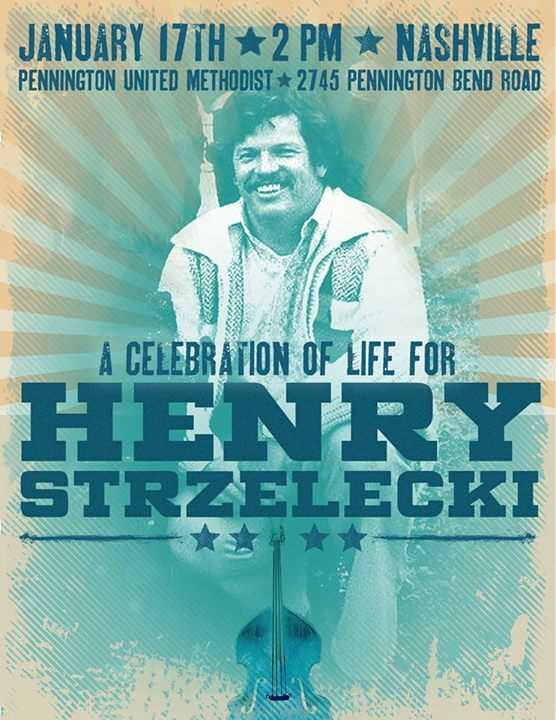 “A Celebration of Life for Henry Strzelecki” is scheduled for 2 p.m. on Jan. 17 at Pennington United Methodist Church. The church is located at 2745 Pennington Bend Road, Nashville, TN 37214 in the Opryland area.